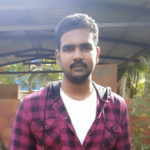 I am Nirmal Kumar, the one who started this blog. 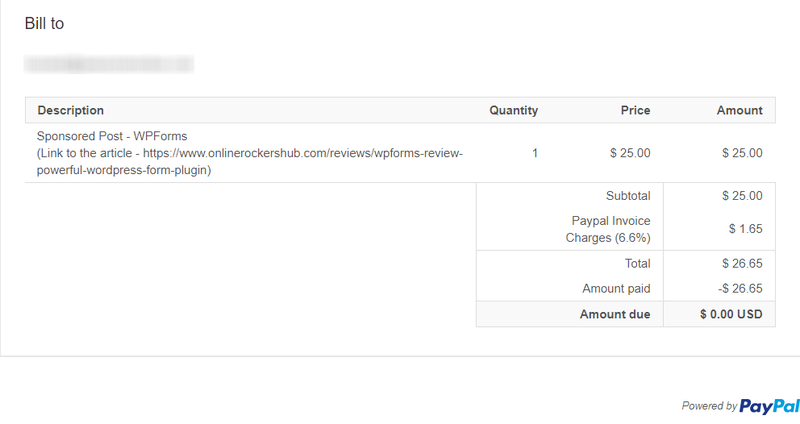 Yup, I started OnlineRockersHub, so that I can make money online. It has been a good side hustle for me so far. And, I am a blogger with passion. Now, that I have started earning money online, I don’t want to stop with that. I want to share these tips with others too. Who should focus on these online income jobs? How to buy Cloud Hosting at Cloudways? How can I choose High Paying Affiliate Programs? Students, who want to make some extra bucks in their free time. Housewives, who wish to join work from home jobs. Retired people, who wish to generate some passive income apart from the pension they receive. And, throughout this article, I am going to post some FAQs for you to understand better. Still, have questions, shoot me at the comments section. Q: I am from India. I have already browsed for online jobs and found many jobs paying in US currencies. How can I get paid for my job? A: Many online jobs do pay in US dollars. But, you shouldn’t come to such a blind conclusion. You need to look carefully at their payment methods. Most platforms pay through Paypal, Payoneer or NEFT, etc. If you have a NEFT option, you can enter your bank account details. While receiving the amount in dollars, your bank will automatically convert them to Indian rupees considering currency conversion rate. If you have an account at Paypal, the US dollars will be converted to Indian Rupees by Paypal itself and then the amount will be transferred to your bank account. Payoneer also receives the amount in US dollars like a local bank account and then transfers it back to your own bank account on a daily basis. Now you have understood the possibilities to earn money online, sitting from your home. I will share you 3 best ways to make money from home that worked for me. Yes, I am going to share with you only those methods which worked for me. And so, you can believe, it will also work for you when you do it right. Q: I want to become a millionaire overnight by working online. How can I get rich quick? A: Sorry, none of the methods I am showing you will make you a millionaire overnight. And, I have browsed the same question for the last 4 years. No promising answer found till now. So, I guess you have to climb these steps one by one. I can say you one thing. These methods will not help you to make money fast. But can give you a steady income if done right. A survey is a method to collect data. Every popular brand is interested in knowing what their customers feel about their product. Be a toothpaste or a soap or a smartphone, customer feedback is a mine. As it can decide the future growth of their business, every company is interested in it. When you take up these surveys for money, we call it as paid surveys. Yes, you read it. You get paid for completing these surveys. Companies want data which you can offer. So, when you offer them, they will complement with money. Q: In Paid Surveys, should I reveal my identity? What if I don’t like their product, and give them low ratings in their survey, will they find me out? A: No, you won’t be sharing your identity in surveys. But, you should provide your details in your Paid Surveys Panel. Yes, you should. Only then, they will be able to pay you. And, no company will catch you for giving low ratings. You have the full freedom to express your opinion. Your opinion will only help the company to understand the audience mind better. Are you ready for taking up surveys for cash? Do not pay money to join any Paid Survey site. Legit survey sites are always free to join. Too many ads on the website can be an indication of a scam site. I am a great fan of Clixsense. 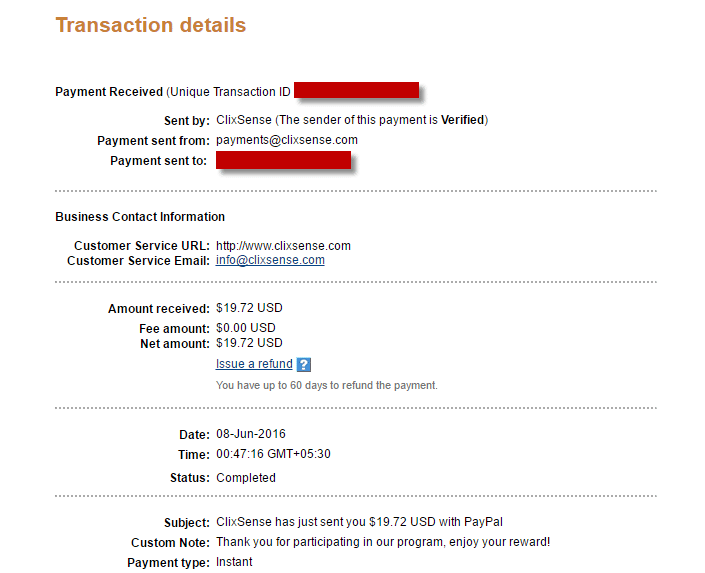 In Clixsense, making money through Paid Surveys is not the only option. You can also earn money by doing micro tasks or completing offers like installing apps or through referrals. They pay their users regularly on time and every time. For more insights, read my Clixsense review and Clixsense Strategy. Finding each survey panel is a difficult and laborious task. Therefore, you can join Panelplace, this will help you in identifying other legit survey panels. Panelplace is trusted by more than 1 million members all over the globe. Note: Signing up for PanelPlace is again free. And they don’t charge anything for helping you in identifying survey panels. When I share a money making method, it is obvious that I should share its payment proofs too. For paid survey sites, I usually receive money through Paypal / Amazon Gift Vouchers / Flipkart Gift Vouchers. You can find all my Clixsense Payment Proofs here. I have been using Clixsense right from the starting stage of my Blogging career. Now, I am experimenting with many more passive income methods. 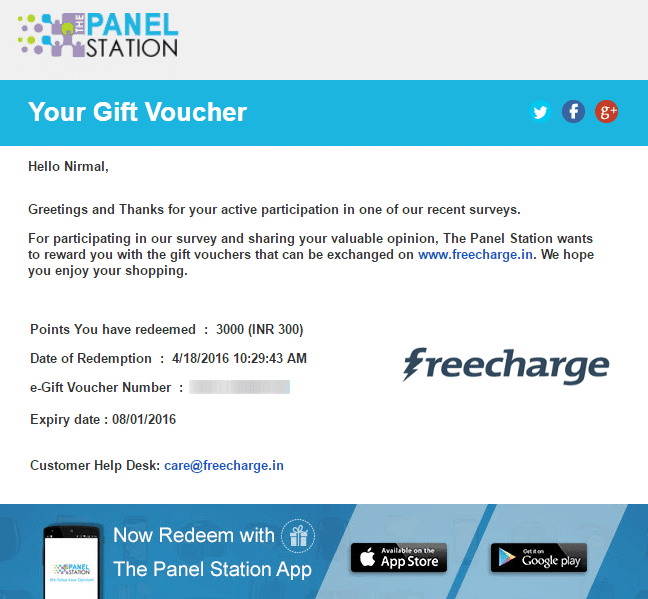 The Panel Station is another promising paid survey site to redeem vouchers. I had earlier redeemed through Freecharge. Now, it allows you to redeem your rewards through Amazon, Flipkart, Paytm and Giftxoxo. To say in short, Paid Surveys is the best way to make money online without investment. I am stressing out the last two words because the next methods I am gonna share need some investment of your time and money. So, why are you waiting for? Join a survey panel today and start earning some extra cash. I have also covered up some tips to complete paid surveys. Check it out when you are free! I would say, Blogging is a passive income method. What does a passive income mean? Passive income methods usually refer to the ones, where you put less or no effort, but still, it gives you a regular income. There are many high earning bloggers all over the world, who get paid in millions, just by writing for a few hours. You can also become one among them. All that you need to do is create a blog and craft content that people love. Note: All these bloggers have spent years establishing authority for themselves. They did not become a millionaire overnight. You can start a blog within 1 hour (maximum time). But, a successful blog doesn’t come just with creating a blog alone. You need to write regularly with passion. And yes, you need to understand, you will succeed in Blogging, only if people love your content. There are different platforms available to create a blog including Blogger, WordPress.com, WordPress.org, Quora, Wix, Weebly, etc. If you wish to get some hands-on experience with blogs, give Weebly a try. It is a free website builder and beginner friendly. It is the simplest of all these platforms with a drag and drop builder. But, creating a successful blog, cannot come free. Many say Blogging is free to get started. But, remember free blogs come with a lot of restrictions too. Even I started OnlineRockersHub as a free blog at Blogger. Over a period of time, I had to spend some money on it to build it. So, the point is that, if you want to start a blog that makes money, you must also put some money into it. Q: You have told me so many blogging platforms are available. I want to be successful and I am interested in spending a small amount to it. But, which platform should I choose? A: More than 33% of the internet believes in one single platform. It is WordPress.org. It is the most powerful platform out there for blogs with so many features. And to create a blog with WordPress software, you need two things: Domain name and Web Hosting. The success of your blog is mainly dependent on the niche you choose. All the successful bloggers which I mentioned above took a broad niche (niche means topic) and have written more than 1000 articles on that topic. Writing 1000 articles is not a joke, it will take years. Now, taking a broad niche, you can’t outrank them, because of the authority they have all developed over a period of 10 years. What you can do to become a successful blogger now is to take a narrow niche and write in-depth articles in it. To help you understand more about broad and narrow niches. The niche “Laptops” is vast. You cannot cover up all the laptops, like there thousands of them. But, as you come down, I have narrowed the niche. The niche “Refurbished laptops for students” is very narrow and highly targeted. And the number of laptops you want to cover up your blog is also limited. Becoming an authority on “Laptops” niche is difficult, but the later one is possible. That is where you need to focus on. Choose one among these 1999 profitable niches, where you wish to start. But, keep in mind, choose a narrow niche as much as possible. Now, that you have decided the niche where you want to create your blog, you need a domain name. Domain name is the name of your website. For example, OnlineRockershub.com (the URL of this website), is a domain name. You need to choose your domain name wisely. If your domain name is longer, your readers will find it difficult to type it. So, keep it shorter as much as possible. Make use of these tools to search for your domain name. Many common domain names will be taken already. So, you need to be patient in searching for a suitable name. Once, you have chosen the right domain name, it is time to register it. The best place to register your domain name is GoDaddy. You can register a domain name for just $2.99 (or ₹149) for the first year when you buy for 2 years. The renewal price is usually higher than the price you register. The best trick to save money on renewal is to register for a long period. If you find GoDaddy costlier, register your domain name at Namecheap at a cheaper price. Step 1: Visit GoDaddy and choose “Domain Name Search“. Step 2: Search for the domain name you want. If your domain name is not available, go with other names. Step 3: Add the domain name to your cart. The pricing shown here is for the first year with 2 year registration. Step 4: Choose the additional services you want and continue to your cart. Privacy protection will hide your public identity associated with the domain name. It will show as if the domain name is registered under some other company. Step 5: Create an account and complete the checkout. Now that, you have registered a domain name, the next thing you need is a web hosting. Your website needs a server to store all the files and to retrieve it whenever a visitor lands on your domain URL. There are different types of web hosting depending upon the purpose it is being used. For starting a blog, many bloggers suggest you go with shared hosting. But shared hosting has its own downfall because you don’t have the control over the server. Because, if the hosting provider decides to restart the server, all the websites using this shared hosting will have downtime. So, I would recommend you to go with Cloud Hosting. 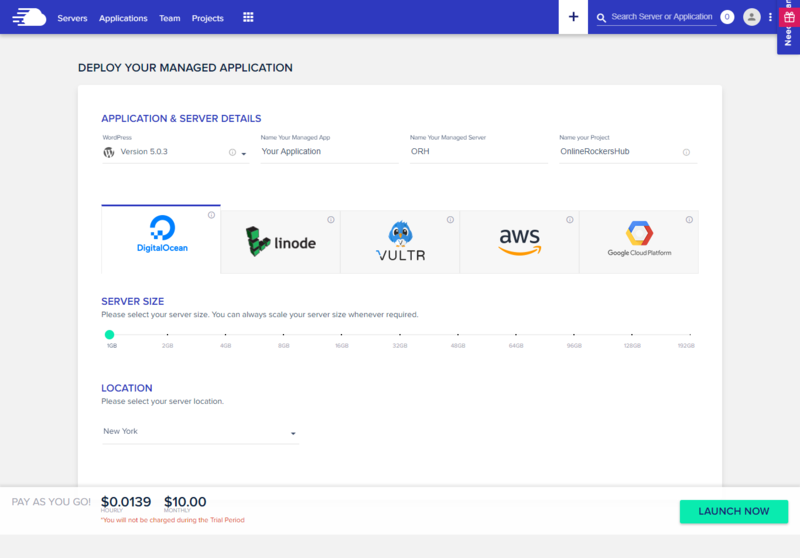 I am using Cloudways Cloud Hosting, and happy with his performance. The pricing starts at $10 per month, but worth the price you pay. Because you get full control over the server. Q: I am not sure if blogging suits me. So, I want to go with cheap and good hosting. Which hosting should I go for that? Again, to purchase web hosting, just follow these 5 simple steps. 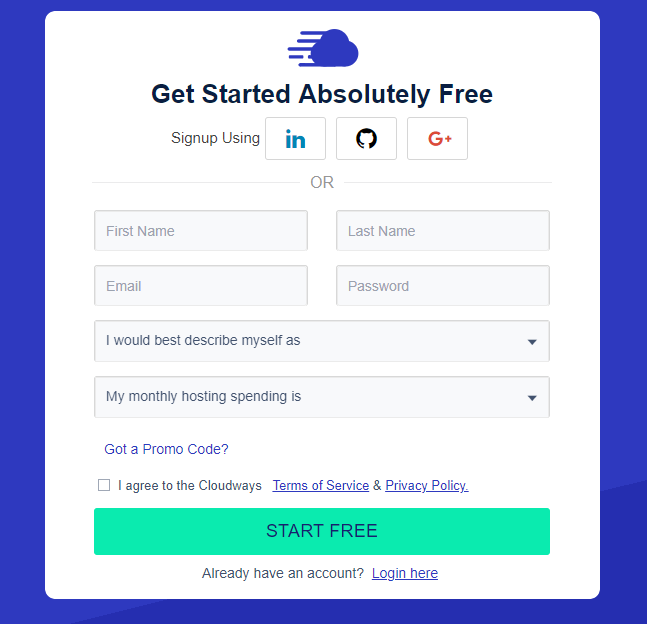 Step 1: Visit Cloudways and choose “Start Free“. Yes, their hosting is free for the first 3 days for you to try. Step 2: Complete the registration form. Use “PAYUOC” promo code to avail a 20% discount on the first year. Step 4: Wait for a few minutes and your server has been created. Step 5: Once, you are satisfied with the performance you can click “Upgrade My Account” and complete the checkout process. Note: Cloudways has a pay as you go policy. 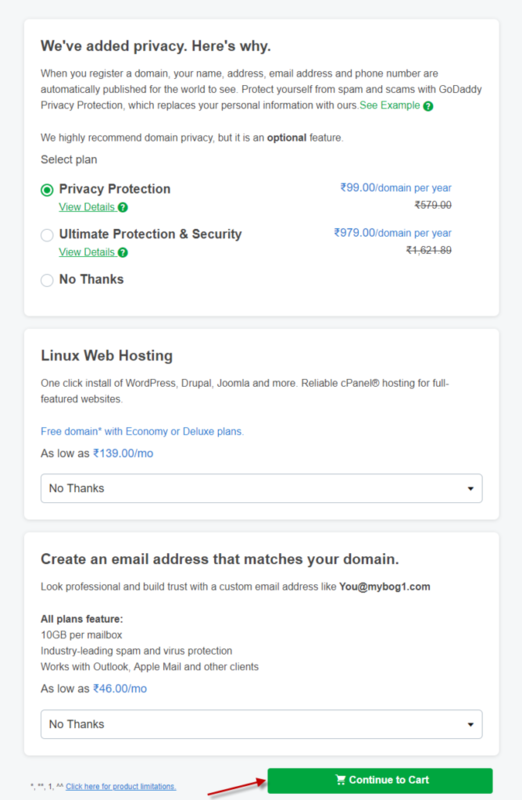 So, you will pay for the hosting you used only at the end of each month. You can scale your server (Increase or Decrease RAM), whenever you wish (especially when your traffic is at peak). Now, you have got your domain name and hosting. All you want to do next is to connect them and get your WordPress ready. Let’s do this in another 5 simple steps. 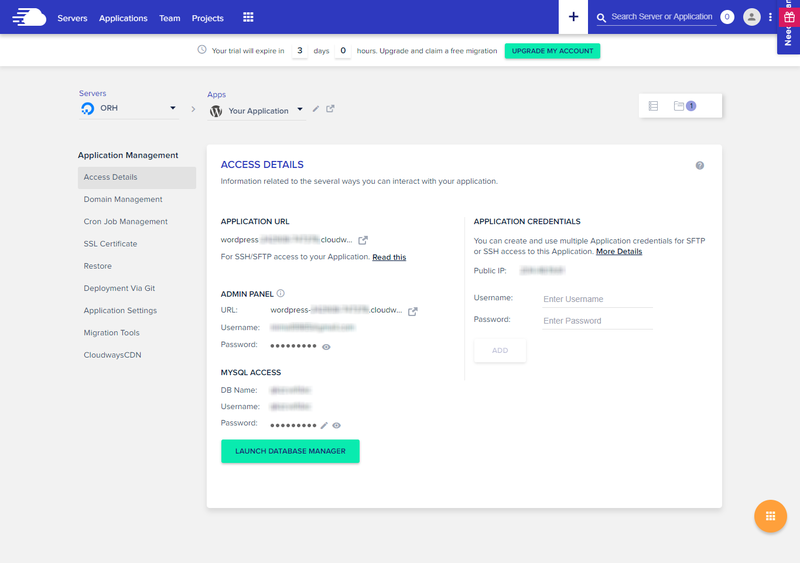 Step 1: Login to your Cloudways account and move to the applications page. Your WordPress application will be listed here. Step 2: Open the application and you will find your WordPress website details. Your WordPress site is not connected to your domain name yet. Step 3: Go to Domain Management and enter your domain name at “Primary Domain“. If you want to use www. in front on your website address, enter here and then click “Save changes“. Step 4: Go to your GoDaddy account and open DNS management for your domain. You are going to create an A record with your server IP address as shown in the image below. (IP address can be found in the WordPress application page. Refer above images). Click the Add button in GoDaddy DNS to create an A record and create a similar one as shown below. Save the changes you have made. The DNS propagation can take up to 24 hours to process. But, usually, it happens within a few hours. Step 5: Now go back to your WordPress application page in Cloudways. The Admin panel gives you the URL, where you can log in to your WordPress website, with the username and password provided. So, that brings you to the newly created WordPress website. Update your WordPress software to the latest version. Delete the default posts, pages and comments created. Because we don’t need all these. Next, to optimize the performance of your WordPress website, you need WordPress Plugins and WordPress Themes. WordPress Themes will give a layout to your website. You can always use one of the free WordPress themes available. But, if you want to make your website design unique and need more customized features, you need to go with premium WordPress themes. You can always buy premium WordPress Themes at ThemeForest. Redirection: If you wish to change the permalink of any post or page, redirect the old link to new link. Broken Links Checker: This plugin will identify if you have linked to any dead links and inform you. ThirstyAffiliates: Your affiliate links should always be cloaked for safety. Jetpack: The All-in-one plugin that will assist you with social media sharing, image CDN, related posts, etc. This is just a small list. Install only those plugins essential for your website and delete the remaining. Instead of purchasing themes and plugins separately, you can always purchase memberships. This will help you cut down the cost for premium products. If you are considering to purchase memberships, I will suggest you go with Elegant Themes Membership or Thrive Themes Membership. No matter how high quality your content is, if it is not optimized for Search Engines (SEO), you cannot expect traffic for your website. SEO has two main parts, On-page SEO and Off-Page SEO. On-page SEO deals with Page Title, Headings, Content, Meta Description, Keyword Optimization, etc. While Off-Page SEO deals with Domain Authority and backlinks. Learning On-Page SEO and implementing it on your website is easy. Whereas building backlinks (Off-Page SEO) is not a joke. It is the most complicated part and you need to work around for it. Considering the difficulties with SEO, many SEO Tools have been developed over a period of time. One good tool, SEMRush is sufficient to completely to deal with the SEO of your website. Start with SEMRush for free. I have been using it to monitor my website health. Remember SEO is a learning curve. Once you master it, you can make the best out of any website. Once, you have started writing quality articles and optimized it for SEO, you need to promote your blog. Though Search Engine is your primary source of traffic, you need to consider other traffic sources too. After Search Engines, the next platform with most users is Social Media. With more than 50+ social media sites available on the Internet, you don’t need to promote your blog on every platform. Pick 2-4 platforms and make the best promotion out of it. Consider Facebook and Twitter mandatory. Creating Instant articles for your website is an added advantage on Facebook. And you can always use Twitter to connect with Big Influencers. Apart from that, you have Pinterest and Instagram. I would recommend every website to develop a Pinterest Strategy. You need to create images optimized for Pinterest in each and every article of yours. Getting more repins will give your article a social boost. Tailwind is an app that will help you with creating pins and repin them automatically. Many influencers run their website only depending upon Pinterest and Tailwind and the results they have shown till today is amazing. So, start using Tailwind app for free and optimize your content for Pinterest. After Social Media, the next big source for traffic is your Email List. To build your email list, you can use plugins like OptinMonster. 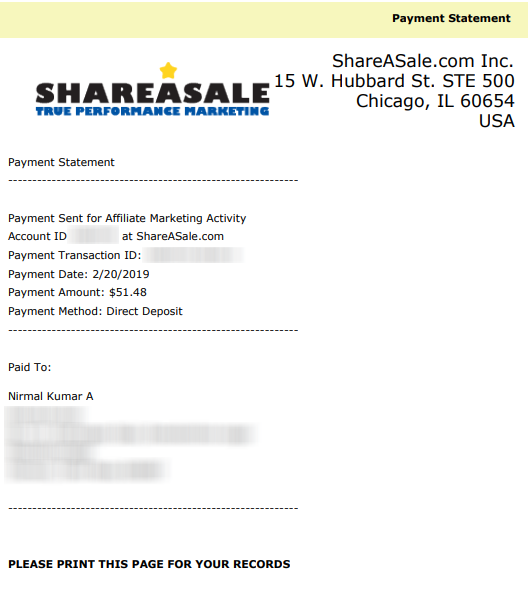 Building your email list in 2019 is still profitable. Because these subscribers are like-minded people and are interested in your content. Every time, you publish a new post, you can send them a newsletter. For sending your emails, you will need an Email marketing service like SendInBlue. Even the free plan of SendInBlue allows you to send 600 emails every day. Read my SendinBlue review for tutorials. Here comes the most important part. Now that you have started to receive traffic to your blog, you need to monetize it. There are multiple ways to monetize your blog. To monetize your website, you need to use Advertising Platforms like Google Adsense. However, getting approval for Google Adsense is difficult because they accept only quality publishers. (Bloggers are the publishers here). 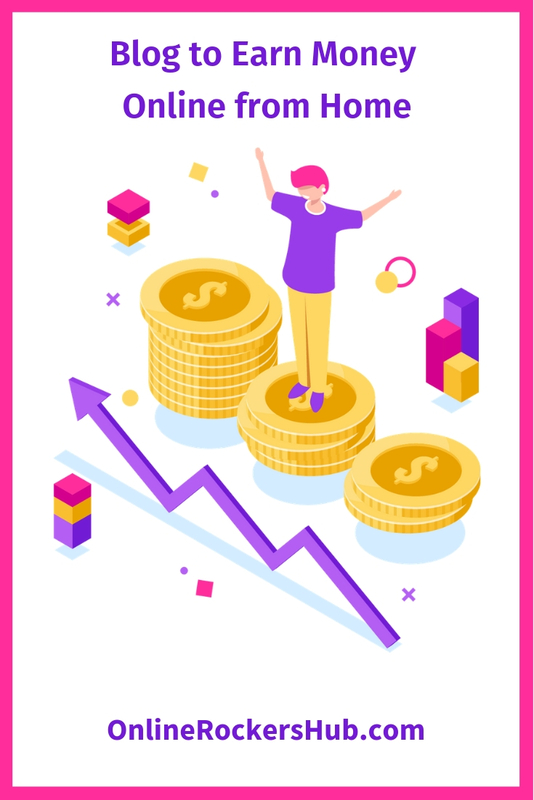 Not to lose hope if you don’t get approval for Google Adsense because there are always Google Adsense alternatives that can still earn you the same amount. Once, you have started to write some quality content, you will always see advertisers reaching out your website for a review on their product/service. As a compliment for this review, you will be paid depending upon your website traffic and authority. I make hundreds of dollars every month by writing sponsored articles. 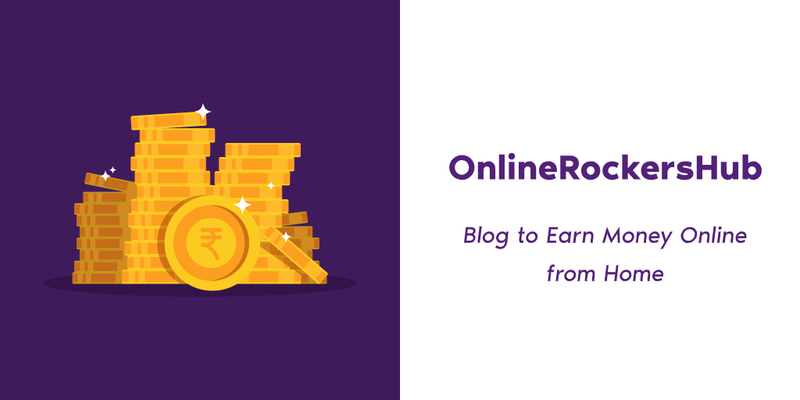 Apart from displaying advertisements and writing sponsored articles on your website, there is one more way to earn money out of your blog. It is Affiliate Marketing, which is going to be our next topic for discussion. I focus on making money through Sponsored Posts on my website. And here are some payments that I received from popular merchants. I received this payment for my Formidable Forms review. I got this opportunity as I am one of their affiliates. This one is for OptinMonster Review. Apart from this review, I have also covered up a few more articles for OptinMonster. Some of them are again Sponsored Articles. Here is the one for my WPForms Review. Again I am an affiliate of WPForms. With that said, let’s move on to Affiliate Marketing. We have been influenced by affiliate marketing in our daily lives. It is just that we are not aware of it. How many times, have you purchased a product in Amazon, by clicking a link from a review site. All these links are affiliate links and the review site will earn a commission for your purchase. In this context, the review site will be labeled as an affiliate. Affiliate Marketing is simply referring a customer to an eCommerce store to purchase a product. And for each successful product purchase the affiliate refers, he will earn a commission. 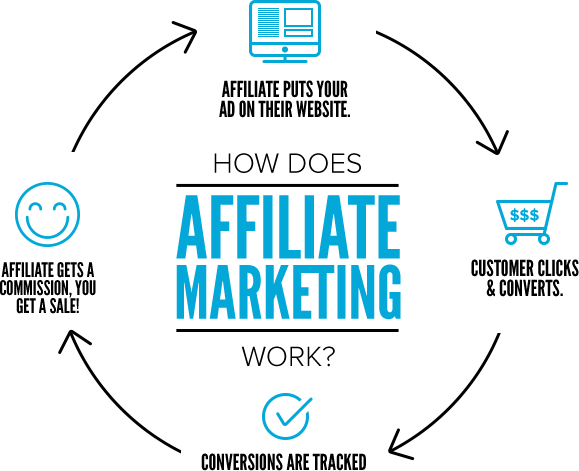 To get started with Affiliate Marketing, it is not compulsory for you to own a blog, but many affiliate networks expect the affiliate to own a blog/Youtube channel. I have found affiliate marketing as a promising money making method over many others. Q: I will join an eCommerce store as an affiliate. Can I use the same link to purchase a product? Will I get a commission for that? A: No, you won’t earn a commission for your own purchase using your own link. The affiliate networks usually track IP addresses and email addresses to keep track of such fraud activities. For involving in such activities, they can even expel you from their affiliate network. CPA Affiliate Marketing: With CPA affiliate programs, you will earn commissions for the prescribed action. It can be either be a sign up for one of their products or a purchase. Recurring Affiliate Marketing: They are mostly available for membership sites. In addition to the commission you receive when your referral purchases membership, you will also receive a commission every time your referral renews his membership. So, it is more like earning commissions for a lifetime just by referring a single customer. Will you use that product/service, if you need to? Why should your reader use that product/service? How much commission do they pay you for a single sale? What is the cookie period? If you can get answers for these 5 affiliate marketing questions and find it satisfactory, then you are good to go. However, it is always wise to choose Recurring Affiliate Programs over CPA affiliate programs. Now you have understood the concept of affiliate marketing and learned to choose high paying affiliate programs. Signing up for each individual affiliate program and managing them is a difficult task. Also, reaching the threshold payout for each affiliate program will take time. So, it is wise to join Affiliate Networks. ShareASale: This is one Affiliate Network that I loved after joining. They have so many in-built features with an easy to use UI. But, getting approval for ShareASale is a little difficult just like the Adsense. Since they have joined with so many top advertisers, you must focus on getting their approval. Impact: Impact is another affiliate network with many top advertisers. After far as I noticed, the affiliate programs available in ShareASale and Impact are different. And, comparatively, it is easier to get approval in Impact. Amazon Associates: If you are going to endorse Amazon Products, then you need to join Amazon Associates (official Amazon Affiliate Program). They pay a good commission. 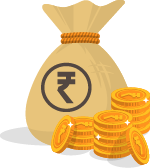 You can receive commissions through NEFT or using Payoneer. Commissions will be usually paid after 60 days. I have tried Affiliate marketing for over a year and made some payouts. This is one of my payments at ShareASale. The minimum payout threshold at ShareASale is $50. 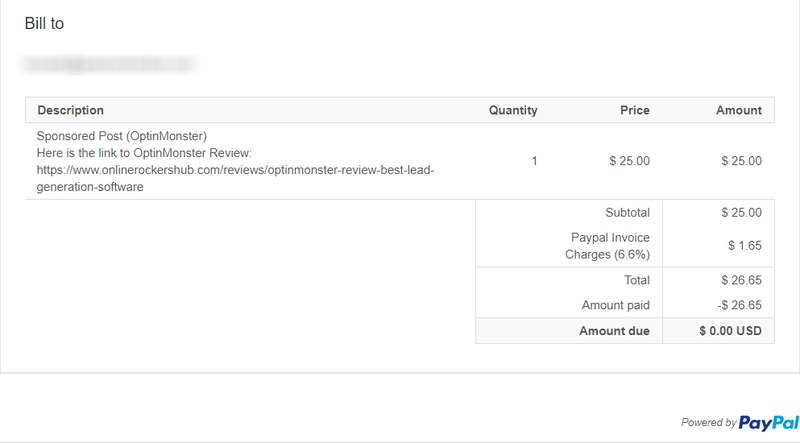 And this is another payout of mine for Hostgator Affiliate Program through Impact. For receiving wire payment through Impact, there is a fixed processing fee. So, it is wise to set your payment threshold high. And here, is one more payment proof of mine, from Amazon Associates. I have just sold three products in Amazon, and this is the commission for it. 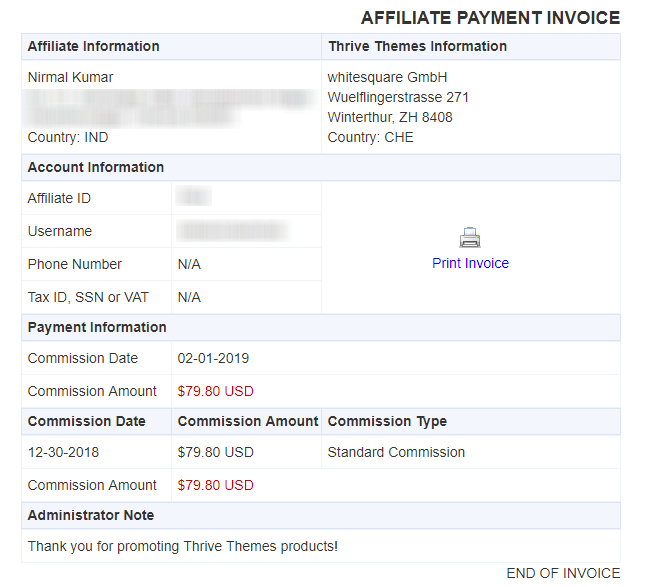 I made a single sale for Thrive Themes Affiliate Program and received a whopping commission of $79.8 for that. The sale was for $228 and they have paid 30% commission for it. And this one is from BeRush (SEMRUsh Affiliate Program). I participated in their monthly affiliate contest. And I won the prize of $100 by crafting an article on SEMRush Organic Research Tool. From these Payment proofs, you could have clearly understood that Affiliate Marketing is the best passive income methods. Just by creating a blog in a low competitive niche and endorsing products, you can make money while you sleep. If you want to earn quick money without any investment, then Paid Surveys is the right option for you. But, if you want to generate a passive income, then create a blog and carry on with Advertising or Affiliate Marketing. Any questions? Just drop them at the comments section. If you like this article, pin this. All the Best to start making money online!